The most exciting view of prehistoric life. "Comprehensive, illustrated encyclopedia to prehistoric animals... lifelike detail... this easily readable book should appeal to dinosaur enthusiasts of all ages." -Science News The Complete Guide to Prehistoric Life. The book's concise, jargon-free text and full color illustrations bring the primordial world to vivid photo-realistic life. In-depth profiles of 112 kinds of beasts cover physical characteristics, lifestyle, habitat and behavior. Throughout, "fascinating fact" sidebars offer additional bits of "dinotrivia." But there is more than dinosaurs here. Readers will find creatures from triobites to early human beings. At the heart of the book are 350 richly detailed and lifelike color illustrations -- accompanied by comprehensive text -- which are the result of pioneering work by the Emmy award-winning creative team at Framestore CFC. Using animation, graphic effects and filmmaking, they recreated awe-inspiring prehistoric creatures and the world they lived in. These images are now reproduced to thrill readers. 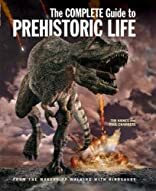 The Complete Guide to Prehistoric Life was published to accompany two BBC TV prime-time programs, Life Before Dinosaurs and Walking with Life, both part of the Discovery Channel's award-winning Walking with Dinosaurs series. About Paul Chambers (Author) : Paul Chambers is a published author of young adult books. Some of the published credits of Paul Chambers include The Complete Guide to Prehistoric Life. About Tim Haines (Author) : Tim Haines is a published author of children's books and young adult books. 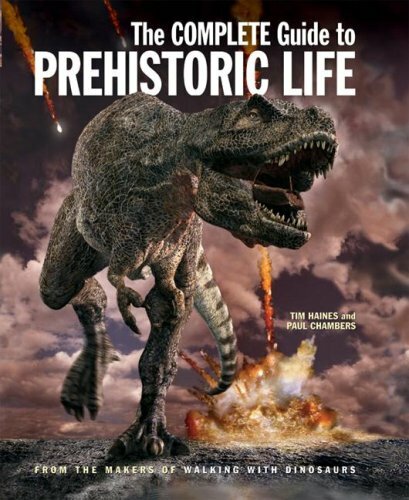 Some of the published credits of Tim Haines include The Complete Guide to Prehistoric Life.